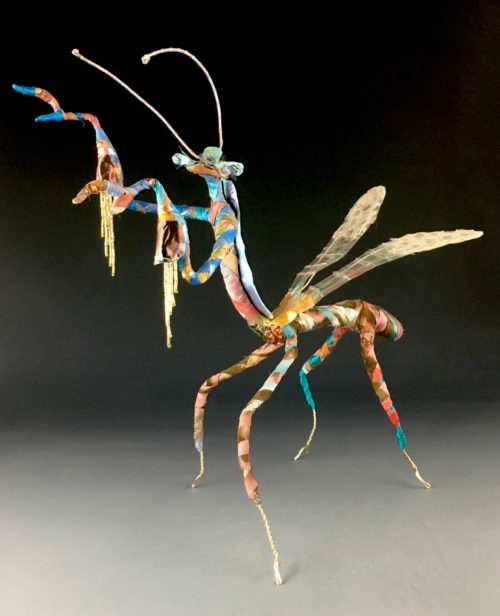 View cart “SANDRA KLINK PRAYING MANTIS IN BLUE AND PEACH” has been added to your cart. 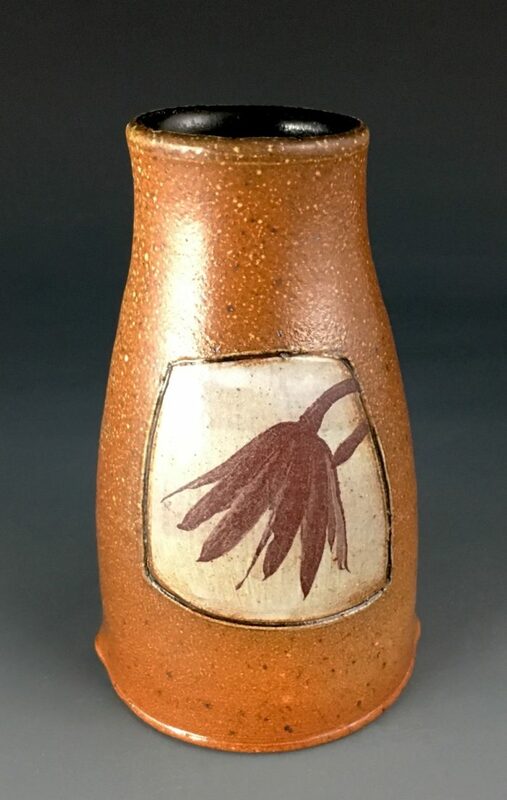 This salt-fired vase from North Carolina potter, Evelyn Ward has a shadowy image of a tulip poplar seed pod framed on each side of it. The small , slightly oval vase just cries out for dried arrangements, but also looks lovely with contrasting spring pastels. 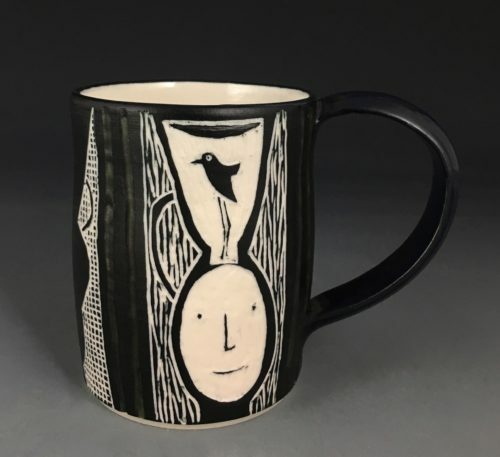 5.5″ x 3.5″ x 2.5″.